President-elect Donald Trump has nominated, Senator Jefferson Beauregard Sessions III (R-AL) to serve as the nation’s next Attorney General. 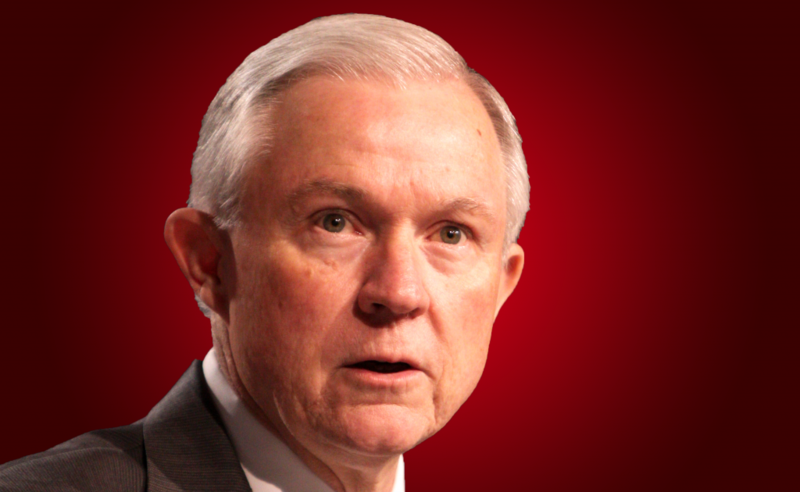 Senator Sessions has led the fight against immigration reform at every turn during his 20 years in the Senate. He has urged severe restrictions on visas, called for drastically expanded immigration enforcement, and blocked all practical reforms to our outdated immigration system. His nomination to serve as Attorney General is highly concerning. As the country’s top lawyer and highest-ranking law enforcement official, the Attorney General is tasked with administering justice and has substantial authority over our nation’s laws, including our immigration laws. In fact, the Immigration and Nationality Act (INA)—the governing law over immigration—grants the Attorney General broad powers to modify, adjust, and decide how much of the law is implemented. He also oversees the immigration court system, which is charged with ensuring a fair day in court for those who face deportation from the United States. Therefore, the Attorney General position requires a person who can serve as a fair and balanced decision maker on a range of issues. Even though the Secretary of Homeland Security is charged with the administration and enforcement of the INA, the Attorney General’s determination and ruling on all questions of law is controlling. Moreover, the Attorney General is empowered to make the determination whether “an actual or imminent mass influx of aliens … presents urgent circumstances requiring an immediate Federal response,” including deputizing local law enforcement agents to serve as immigration officers. Also under the INA, the Attorney General has the authority to unilaterally revoke decisions of the Board of Immigration Appeals (BIA). Much of current asylum law is based on decisions by the BIA including those that determine what groups must receive protection from persecution in their home. As a Senator, Jeff Sessions has staunchly opposed the granting of any legal status to women and children who are currently fleeing persecution in Central America. As Attorney General, he would have the authority to make asylum vastly more difficult for those around the world who flee to the United States to avoid violence. Another issue to watch out for is what Sessions may or may not do around access to representation and legal access. EOIR’s Office of Legal Access Programs (OLAP) was established in 2000 to expand access to legal information and counsel for individuals in immigration court. These programs, including, Legal Orientation Programs (LOP) and Legal Orientation Programs for Custodians of Unaccompanied Alien Children (LOPC), and others have enjoyed bipartisan support in Congress, improve court efficiencies, and have significant cost savings. However, Senator Sessions has opposed these programs in the past and could end them relatively quickly. The funding for these programs is small but the programs and grants are at the discretion of the Attorney General. The choice of Senator Sessions is disappointing as he has had a difficult track record in being confirmed by the Senate in the past. In fact, he was nominated to be a Federal District Court judge in 1986 but not confirmed due to past racially insensitive comments he made. He is one of only two Federal District Court Judge nominees who could not be confirmed over the last 50 years. Any hope that President-elect Trump was going to moderate his extreme views on immigration have been largely dashed by the nomination of Senator Sessions. Early next year the Senate will have to engage in a robust confirmation process that will hopefully reveal Senator Sessions dangerous views on immigration and civil rights.